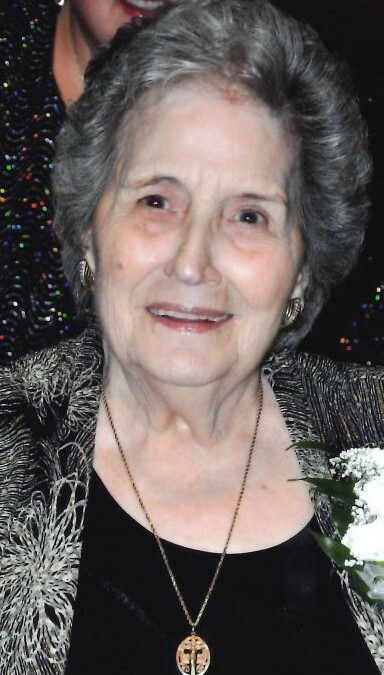 Obituary for Sarah (Zammiello) Olivieri | Scala and Roefaro Funeral Home, Inc.
Mrs. Sarah (Zammiello) Olivieri age 92, of Utica passed away on Monday July 9, 2018 at the Masonic Care Community with the love and support of her family. She was born in Utica on February 19, 1926 a daughter of the late Rocco and Rose Gigliotti Zammiello and was educated in local schools. On May 16, 1946 she was married to Frank G. Olivieri in Mt. Carmel Church, a blessed union of 54 years until his passing on December 10, 2000. Sarah was a loving and devoted mother and grandmother whose life centered around her family. She was a homemaker and an excellent cook who enjoyed preparing many of meals, for family and friends. She will be sadly missed, but never forgotten. Surviving are two beloved daughters Diane Furgol and Rosemary “Chipper” Olivieri; her cherished granddaughter with whom she shared a special bond, Melissa and husband William Battle, Jr.; beloved great-grandchildren Lucas and Logan Battle and several nieces, nephews and friends, especially her niece Debbie Percaccainte and special friends Jennifer Candido and Sue Purpura. She was predeceased by one sister Marie DeRusso, one brother Carmen Zammiello, her son-in-law Robert Furgol and nephews Michael and Roc DeRusso and Rocco Zammiello. Relatives and friends are invited to attend her Mass of Christian Burial on Friday at 11:00 am in St. Anthony/St. Agnes Church. The family will greet visitors at the conclusion of mass in church. Private burial will be in St. Agnes Cemetery. The family extends a special Thank You to the staff of the Old Forge Household at the Masonic Care Community for their care and compassion.